Karan Johar and Sonakshi Sinha are almost unrecognisable in this throwback picture. Take a look. A file photo of Karan Johar. Even though it's not a Thursday, filmmaker-turned-producer Karan Johar took to his social media account to share a throwback photo featuring an almost unrecognisable Sonakshi Sinha, veteran actor-turned-politician Shatrughan Sinha, filmmaker Subhash Ghai and himself. [post_ads]The photo, which seems to be taken at an awards ceremony years ago, has Karan holding an award in his hand, looking proud, excited and yet a little camera shy. The now suave filmmaker, Karan seemed only too uncomfortable in his own clothes in the image he recently posted on Instagram. Sporting an ill-fitted suit and putting on a rather nervous smile coupled with an under confident body language is how Karan comes across in the photograph. Taking a dig at his own appearance, Karan used the words #doublechinalert in his post, which doesn't come as a surprise since we have all known Karan to be the one who certainly has a sense of humour in everything that he says or posts. "I have to thank @bachchan for sharing this with me! Remember this @aslisona ?? I have won an award but look like I ate the ceremony!!!! #majorthrowback #doublechinalert (sic)," Karan captioned the image. However, this isn't the Karan one would get to see today. Bold, confident, too comfortable in his own skin and full of style and positive attitude is what defines the Karan Johar of today. 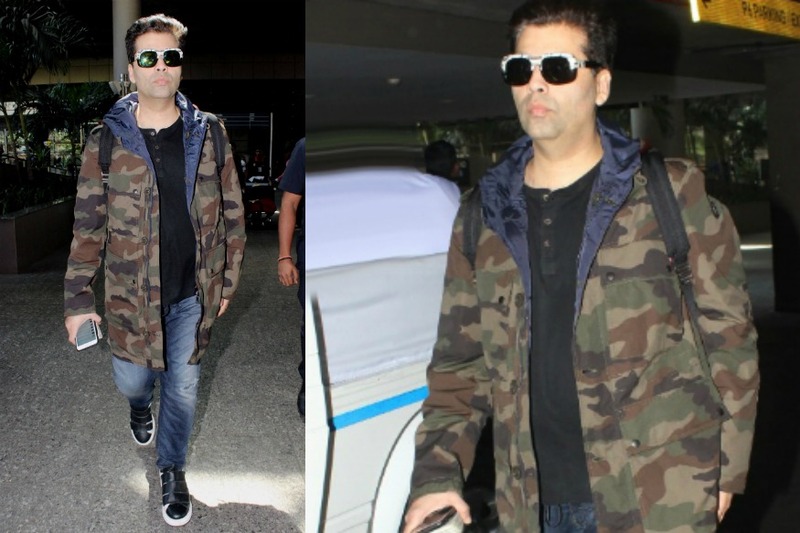 But we are glad we got a glimpse of the younger Karan Johar, who has transformed himself to be what he is today and be an inspiration to thousands across the globe.